Google excels at retrieving sites that contain your search results. But it's up to you to pour through the results and locate the information you need. The Find command can make this process easier. 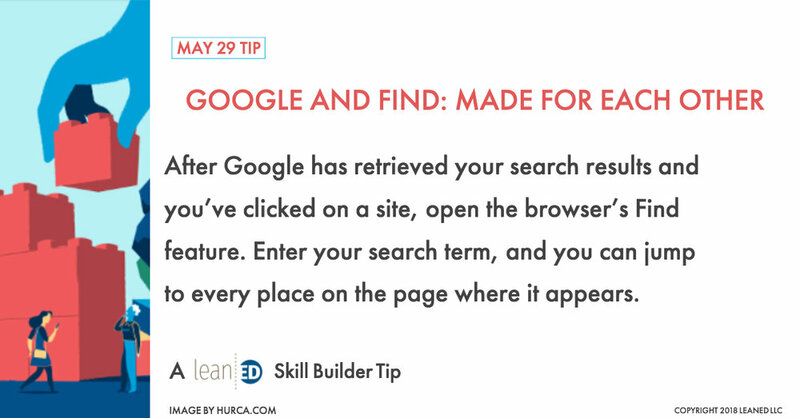 After clicking a search result, enter your search term into your browser's Find feature and jump to all the places on the page where the search term appears.